Another year has flown by and not only has this little blog turned six, I’ve had another birthday, too. I love being spoiled on my birthday, but I hate spending money to celebrate. And I don’t like it when others spend too much to help me celebrate, either. So how does a cheapskate celebrate a birthday? With freebies of course! 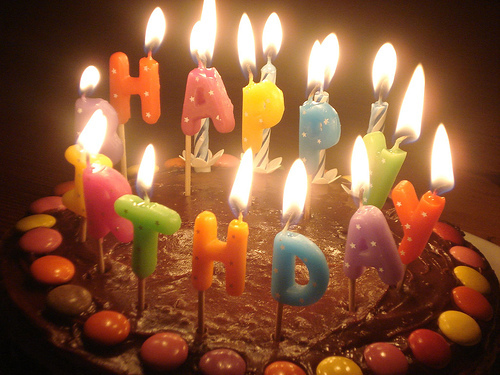 Many restaurants and businesses over free drinks, appetizers, desserts, and even entrees for your birthday! Just sign up for their e-mail list online before the big day. You’ll often get coupons in your inbox for the freebies. Be prepared to show your driver’s license for a little proof it’s your birthday, too. 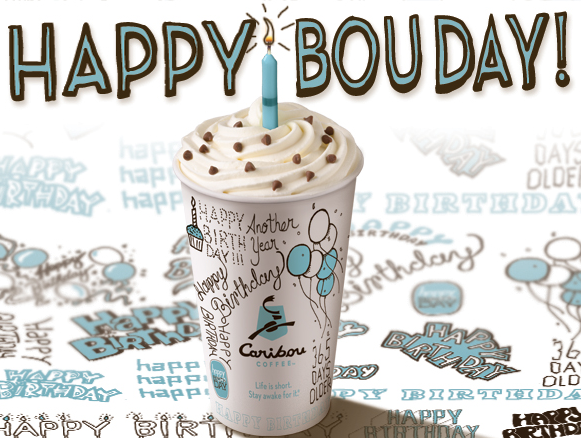 Free drink at Caribou Coffee or Starbucks on your birthday (sign up in advance). Or go to both…. because who doesn’t want to be hopped up on caffeine on their birthday? Free dessert at Applebee’s on your birthday. (You may have to endure being sung to by the wait staff). Get free cookie dough at Papa Murphy’s for your birthday. Freebies 4 Mom has a ton of other birthday freebies you can get, too. I’ll be celebrating a night off from cooking by eating out with my family (using coupons of course), and enjoying a free dessert for my birthday. And it struck me that many of the 15 ways to make a child’s birthday special would also make grown-ups feel special on their birthdays. I think I’ll go work on my birthday crown now. Oh thanks Christina, and happy birthday! I was unaware of the Papa Murphy’s freebie and signed up through your link. We don’t have access to many major chains in our area so that was a great find. Thanks, Valerie! Glad I could help! Thanks and Happy Early Birthday to you! Having more birthdays always beats the alternative!